keepOneEntry is broken in this release. New: Mekanism Integration (Crusher, Enrichment Chamber). 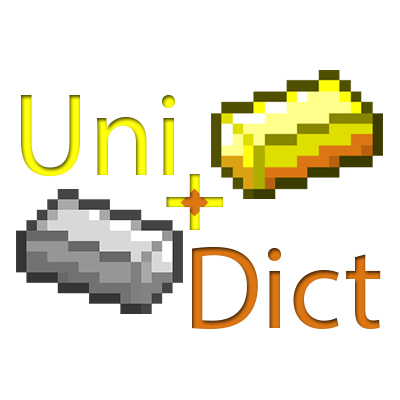 Changed: resources are now updated in a way more efficient way. Removed an absolutely unnecessary line of Crafting Integration that was causing a significant overhead. for more news about UniDict and some my other projects, follow me on Twitter.